My father recently gave me a picture my Great Grandmother took of the Newcomb trading post in Newcomb, NM. My family owned the trading post for many years. In the picture are my Great Grandfather's associates as well as customers. You can almost feel the traditional west in this sepia-toned artifact. The women in the picture proudly promote the Navajo rugs on display. Rifles and tools are not too far from the hands of the sun-battered men. Our family's Indian tradition goes back to before New Mexico gained statehood. Growing up my Grandmother bestowed many of the cultural beliefs about the Navajo on me and my Sister. One thing she spoke of, but never quite sunk in was the quietness of the Indian people. Perhaps it was my Grandmother's love of colorful story telling that prevented us from truly capturing what it means to be silent - she's an incredible story teller at that! Over the weekend I read something that reminded me of silence. 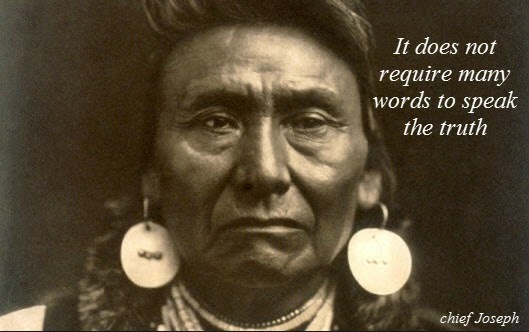 A Sioux Chief wrote about the traditional politeness of their culture. One path to practicing this form of respect is silence before thought. This struck me, as those of you who know me, find that I am probably the worst at this (probably my Grandmother's genes passing down to me). I love flying off the handle with free-forming ideas. However, as I get older, I realize how, not just quiet for quiet-sake is important, but the formation of ideas is important, and that takes silence before thought. Today, as I consider my interactions with people, I will try to remember this.